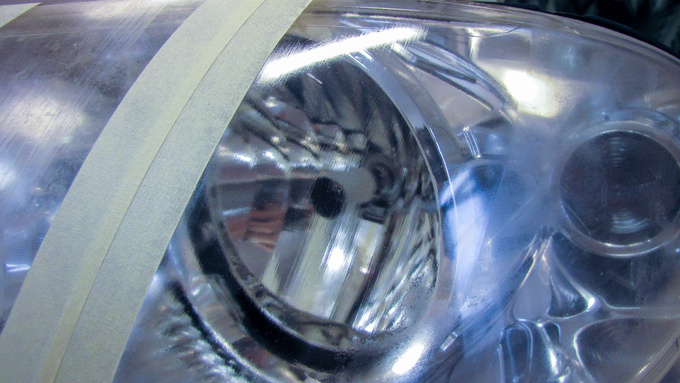 Totalcar Magazine - Tech - A cheap fix for your hazy headlight lens? As plastic headlight lenses gained foothold over the last decade, so did the notion of hazy, opaque headlights. This issue is especially apparent on cars that are not babied all the time. There are various ways however to make your headlight bright and transparent again. Ducato headlight. The central part was left untreated to demonstrate the damage. It is ugly but nothing you couldn’t live with. 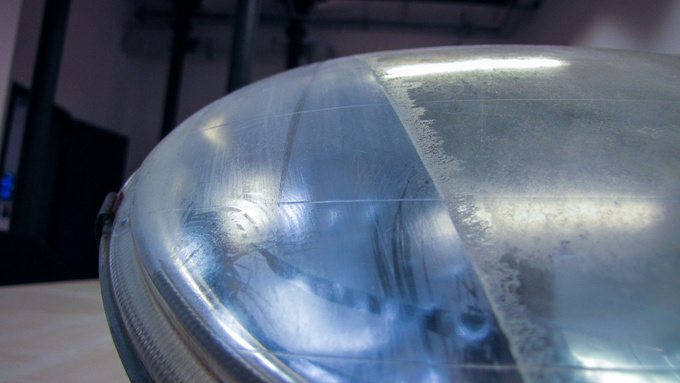 You can of course always take your headlight to a professional who will clean and polish the surface of polycarbonate lenses mechanically. But you won’t find these specialists everywhere, and sometimes it just feels right to fix something yourself – or perhaps you cannot afford or you are not willing to pay for the professional refurbishment which can cost anything between €15-30. Just recently I came across an interesting approach on an internet forum. The OP claimed he could restore any headlight to like-new standards, with no polishing and no disassembly required - all you need, he claimed, was a microfiber cloth and some paint thinner. I used to do a lot of model-building which gives me some insight into how various plastics react to aggressive thinners, and this made me both doubtful and optimistic at the same time. I just had to give it a shot. 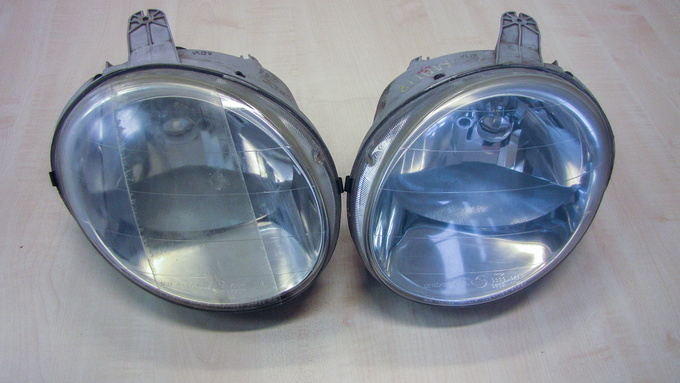 I went to a scrap yard and picked up a few Daewoo Matiz and Fiat Ducato headlights to give us some variety in testing. The Matiz lights were in despicable state, the Ducato was alright – if viewed from a distance. 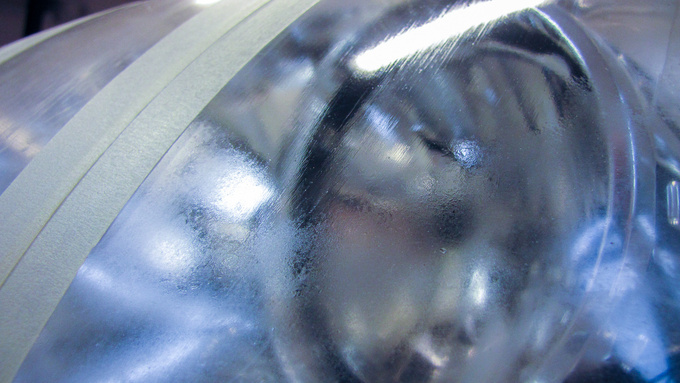 The problem with these plastic lenses is that the outside (sometimes the inside, too) has been treated with a UV-protective layer which in time turns yellow when exposed to UV radiation from the sun and also certain (especially xenon) bulb types. 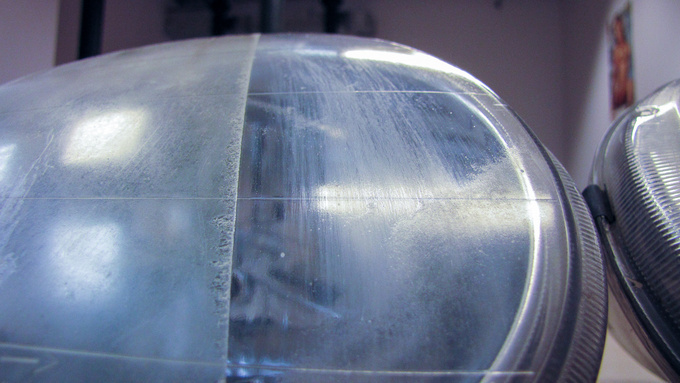 Lenses that turn yellow on the inside or have developed cracks, are beyond repair. 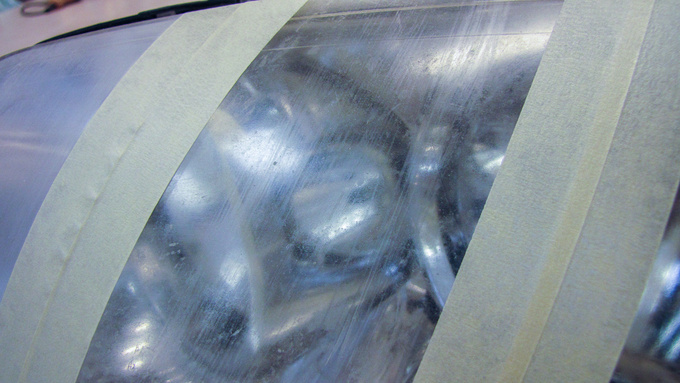 First, you need to clean the lens, then you can start the two-stage treatment process. I had no faith in simple nitro thinner so I bought some acetone which is sure to dissolve plastics. Because that’s how it is supposed to work: you hit the lens surface with the aggressive solvent, and because you treat it with a lot of solvent it is supposed to create a layer of dissolved plastic that will flow nice and even over the surface, creating a clear film. Well, it works but it is far from perfect. The nitro thinner won’t get rid of the haziness although it will clean your headlamp. The acetone, on the other hand, can smooth out any unevenness but the cloth will leave streaks across the surface. What is really disturbing is that while acetone dissolves the lacquer it is even more aggressive against the plastic itself, so by the time you wipe off the protective layer you will have destroyed the lens itself. Trying to preserve the headlamp you will fail to remove the lacquer from some areas, resulting in a nasty spotted appearance. However if you go for the traditional polish job you will get one helluva nice headlamp. Even sanding it by hand for only a few minutes (using an excentric sanding machine will give an even better surface to start with) then polishing with a buffing machine normally used by car painters you will get impressive results. It may not be perfect but it gets the job done, and if you give it just a few more minutes you get flawless results. But of course we don’t all have pro-grade polishers at home. So, it looks like you need to visit a specialist if you want lasting results. The scrap yard attendant told me about this countryside garage that would refurbish headlights for €5 apiece, and that price includes a new layer of protective lacquer. While I could not google up any place this cheap, I am not sure I’d want to DIY against these prices. 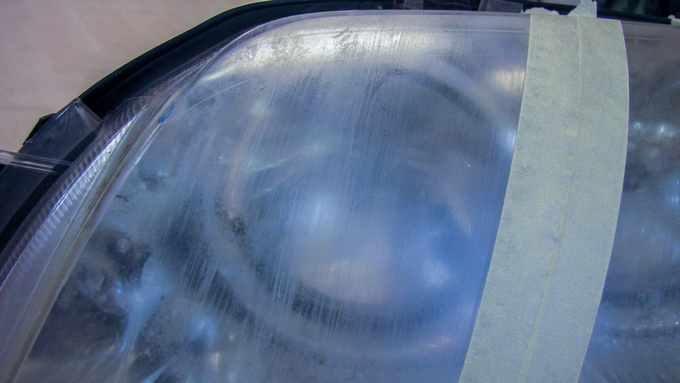 Do you have a secret DIY method for fixing hazy headlights? 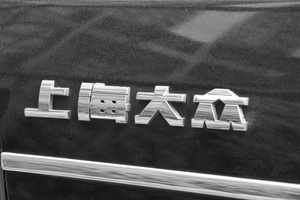 Our colleague, Tibi Papp is just roaming the exhibition pavillions at the Shanghai Motor Show. Meanwhile Robert Winkler, another colleague of ours who has been studying Chinese for a year now tries to make sense of the Chinese characters.